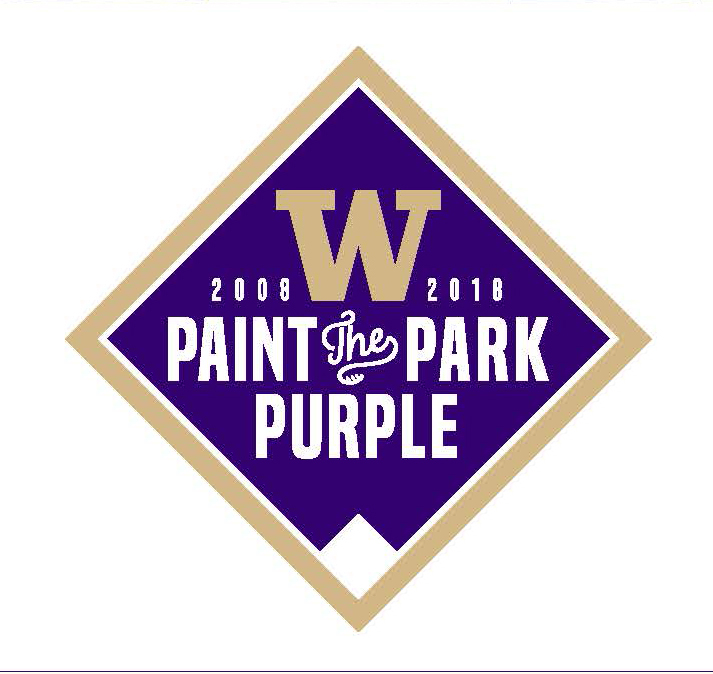 Friday, Aug. 3, 2018, 7 – 9 p.m.
We're celebrating 10 years of Paint the Park Purple! We know you bleed purple and gold, so you won’t want to miss out the 10th anniversary of Paint the Park Purple. Cheney Stadium will be transformed with special Husky purple uniforms, t-shirt giveaways, photos with Rhubarb and Hendrix the Husky, and spectacular fireworks to end the evening. Party Deck tickets include a commemorative t-shirt, all-you-can-eat snacks and ballpark buffet with free wine and beer this year on the exclusive R Yard Landing in left field. Every year, our Party Deck sells out so reserve your tickets now. Special ticket packages are also available in the stands that include meals and t-shirts. Proceeds from ticket sales support scholarships for UW Tacoma students. Bring your friends and join us for an exciting game and some great fun. Show your Husky pride and help some of the brightest and most dedicated students in the South Sound realize their dream of achieving a college degree!